She says we’re better off with Democrats in the White House. Is that so? CARLY FIORINA Ms. Fiorina, the former CEO of Hewlett-Packard, is a candidate for the Republican presidential nomination. There can be no doubt now: The U.S. economy is struggling, inequality is on the rise and too many Americans feel uncertain about their future. On the campaign trail, I have met many of these men and women, who sit at the kitchen table each week, straining to stretch their dollars from shrinking paychecks. Families who can’t save for retirement with near-zero interest rates. Young parents who are being crushed by their student debt. Shop owners who can’t get a loan because their community bank went out of business. We’ve had more than six years to watch the left’s prescriptions in action and the verdict is in: They don’t work. Under President Obama, the economy has been hobbled. The 73,000-page tax code is too complex to navigate without an army of accountants. The administration has added $7 trillion in new federal debt, and has doubled down on environmental regulations that crush business owners and farmers while raising energy prices. And yet Hillary Clinton said on Oct. 13 in the first Democratic presidential debate, “The economy does better when you have a Democrat in the White House,” and she offers variations on that line when campaigning. Whose economy is she talking about? The middle class has shrunk under the Obama administration. According to government figures and industry analyses, median-income households have lost nearly $1,300 after inflation, while the prices of food, health care and college tuition have risen almost twice as fast as inflation. Those struggling to find work are increasingly out of luck: Labor-force participation for working-age Americans has fallen to 62.4%, according to the Bureau of Labor Statistics (BLS), a level last seen in the Jimmy Carter-era recession. Millions have given up looking for work, and millions have fallen into poverty as a result. Don’t worry, it was even worse in the 1970s. Or was it? EXCERPT FROM THIS ARTICLE: Everyday life wasn’t much better than economic life. Terrorism first came into vogue in the 1970s. Sometimes it was a thuggish hijacking, with criminals commandeering an airplane and demanding passage to Cuba. Sometimes it was deadly, like the massacre of 11 Israeli athletes at the 1972 Munich Olympics. Nobody much remembers it today, but in March 1977 Muslim radicals with machine guns and machetes marched into the B’nai B’rith headquarters in Washington, just five blocks north of the White House, and took 100 workers hostage. They herded the hostages onto the roof, where one was killed and two others were shot over the course of a standoff that lasted two days. Simultaneously, affiliated terrorists took over D.C. city hall, where future mayor Marion Barry was shot and a radio reporter was shot and killed. The B’nai B’rith incident was soon lost in the wash of small-scale attacks and bombings from Islamic extremists, Black Power radicals, and student leftists that punctuated life in the ’70s—none of which seems to have left much of an impact. One prelude to the ’70s did have lasting consequences. During the “long, hot summers” of 1964-68, 329 “important” riots took place in 257 U.S. cities, according to Stephan and Abigail Thernstrom’s authoritative America in Black and White, with a toll of some 300 dead, 8,000 injured, and 60,000 arrested. The riots in Harlem, Watts, Detroit, Newark, and, after the assassination of Martin Luther King, Washington, D.C., were only the most famous. These eruptions helped drive the middle class out of urban cores in the ’70s, sending cities into decline and making the new underclass permanent. Happy times are all alike, nestled in the comfortable batting of peace, growth, and stability. Every unhappy time is unhappy in its own way. America has been blessed because, since the end of the Great Depression, our nation has experienced only two periods of deep discontent that lasted a decade or more. The first was the 1970s. We are living through the second today. Which was worse? The popular mind often misremembers the past. For instance, these days the 1950s are held out as a time deserving special scorn. Stories set in the Eisenhower era are often shot through with contempt for the racism, sexism, hypocrisy, and dissatisfaction of American life. But this is revisionism; by many measures—wages, unemployment, home sales, marital stability, births, savings rates, upward mobility—the ’50s were an idyll. What’s more, the happy times of the 1950s stretched into the 1960s. So long that “The ’60s” as we remember them—Woodstock, long hair, free love—didn’t really get underway until 1967 and continued well into the 1970s. That’s one of the central insights of David Frum’s wonderful book about the ’70s, How We Got Here. His other insight is that whatever people want to believe about the ’50s and ’60s, the stretch from 1967 to 1979 was a rarely mitigated disaster. Many people remember the headlines from the 1970s: the shooting war in Vietnam and the quiet but existential threat of the larger Cold War; a president nearly impeached; oil shocks that forced people to stand in line for gasoline. But the problems in America were both broader and deeper. 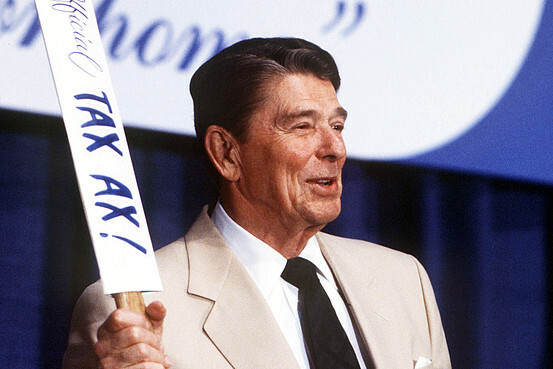 The counsel that Reagan received in November 1980 is still relevant today. Editor’s note: The following are excerpts from a Nov. 16, 1980 memo to President-elect Ronald Reagan from his Coordinating Committee on Economic Policy. 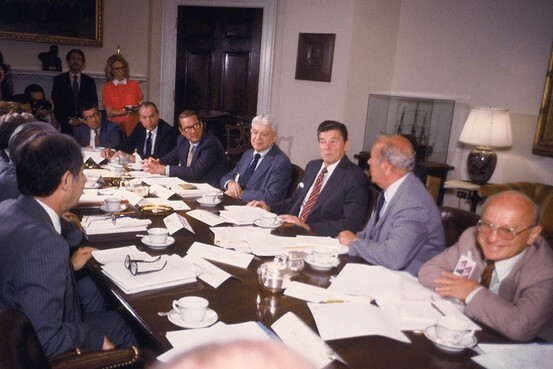 Its title: “Economic Strategy for the Reagan Administration.” The memo describes an era similar to our own in its economic problems and public anxiety, laying out a strategy to address them. The complete memo can be read at OpinionJournal.com. A related editorial appears nearby. Sharp change in present economic policy is an absolute necessity. The problems of inflation and slow growth, of falling standards of living and declining productivity, of high government spending but an inadequate flow of funds for defense, of an almost endless litany of economic ills, large and small, are severe, they are not intractable. Having been produced by government policy, they can be redressed by a change in policy. The Task Force reports that you commissioned during the campaign are now available. They contain an impressive array of concrete recommendations for action. More than that, the able people who served on the Task Forces are available to provide further detail and backup information to you or your designees. We all want to help and you can count on enthusiastic and conscientious effort. Your Coordinating Committee has reviewed the Task Force reports. With due allowance for some differences in view about particulars and relative importance, we have found that they offer a substantial base for action by you and the team you assemble. We focus here on guiding principles, on priorities and linkages among policy areas, and on the problem of getting action. • Reestablish stability in the purchasing power of the dollar. • Achieve a widely-shared prosperity through real growth in jobs, investment, and productivity. • Reducing the burden of taxation and regulation. • Conducting monetary policy in a steady manner, directed toward eliminating inflation. This amounts to emphasis on fundamentals for the full four years, as the key to a flourishing economy. The essence of good policy is good strategy. Some strategic principles can guide your new administration as it charts its course. • Timing and preparation are critical aspects of strategy. The fertile moment may come suddenly and evaporate as quickly. The administration that is well prepared is ready to act when the time is ripe. The transition period and the early months of the new administration are a particularly fertile period. The opportunity to set the tone for your Administration must be seized by putting the fundamental policies into place immediately and decisively. The prolonged—’emergency’—near-zero interest rate policy is harming the economy. We’re now in the 37th month of central government manipulation of the free-market system through the Federal Reserve’s near-zero interest rate policy. Is it working? Business and consumer loan demand remains modest in part because there’s no hurry to borrow at today’s super-low rates when the Fed says rates will stay low for years to come. Why take the risk of borrowing today when low-cost money will be there tomorrow? Federal Reserve Chairman Ben Bernanke told lawmakers last week that fiscal policy should first “do no harm.” The same can be said of monetary policy. The Fed’s prolonged, “emergency” near-zero interest rate policy is now harming our economy. The Fed policy has resulted in a huge infusion of capital into the system, creating a massive rise in liquidity but negligible movement of that money. It is sitting there, in banks all across America, unused. The multiplier effect that normally comes with a boost in liquidity remains at rock bottom. Sufficient capital is in the system to spur growth—it simply isn’t being put to work fast enough. Individuals should be free to decide what to produce and consume, and their decisions should be made within a predictable policy framework based on the rule of law. As this election year begins, a lot of people are wondering what we can do to restore America’s prosperity and create more jobs. Republican presidential candidates are offering their ideas, and at his State of the Union message on Tuesday President Obama presented his. I believe the fundamental answer is simple: Government policies must adhere more closely to the principles of economic freedom upon which the country was founded. At their most basic level, these principles are that families, individuals and entrepreneurs must be free to decide what to produce, what to consume, what to buy and sell, and how to help others. Their decisions are to be made within a predictable government policy framework based on the rule of law, with strong incentives derived from the market system, and with a clearly limited role for government. 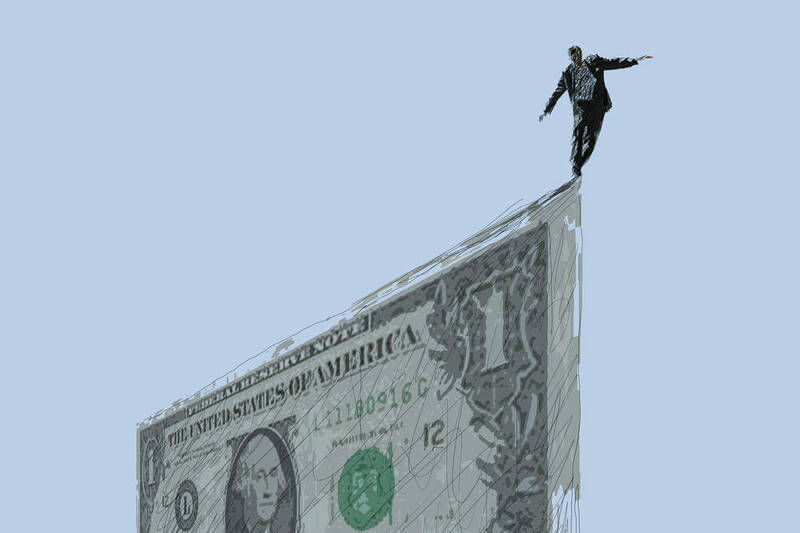 OBAMA’S PERPLEXING POPULISM – STAGFLATION ON THE HORIZON? Inflation hits lower-income people especially hard. So why is the president ignoring rising food prices? Barack Obama spends much of his time these days running for re-election, campaigning as a populist, bashing millionaires and extolling the Occupy Wall Street movement. Although “populist” means different things to different people, the Oxford American dictionary says it describes a politician who seeks to represent the interests of ordinary people. So how does the president measure up as a true populist? Not well. Commodity futures prices for animal feed staples like corn and soybeans are riding high. Oil and gold blipped upward again last week after a hiatus that followed the end of the QE2 monetary stimulus. Overall, dollar inflation is approaching an uncomfortable 4% annually. So what else is happening? The economy picked up a little steam in the third quarter, growing at an annual rate of 2.5% on the strength of higher consumer spending and business investment. But personal disposable income, inflation adjusted, dropped 1.7%, the first decline since the 2009 recession. The personal savings rate fell back to the recession level, a meager 4.1% of personal income. Why should anyone save, when money-market accounts yield only a skimpy half a percentage point? After World War II, the U.S. promoted international economic growth through reliance on the market and the incentives it provides. Times have changed. When President Obama meets with his counterparts from other G-20 countries in Cannes later this week, American economic leadership will, unfortunately, largely be absent. At the most recent meeting a year ago in Seoul, the G-20 rejected the president’s pleas for a deficit-increasing Keynesian stimulus and instead urged credible budget-deficit reduction and a return to sound fiscal policy. And on that trip he had to defend the activist monetary policy of the Federal Reserve against widespread criticism that its easy money was damaging to emerging-market countries, causing volatile capital flows and inflationary pressures. With a weak recovery—retarded by new health-care legislation and financial regulations, an exploding debt, and threats of higher taxes—the U.S. is in no position to lead as it has in the past. Let me start this article by saying this: I confess from the start that this is a very, very passionate issue for me. I am not a fan of Ron Paul, and I respond with passion and sometimes vitriol at times when I am confronted with Paulites (my term for those who are devout Ron Paul supporters). I freely admit that I have an axe to grind here, but I deny that my agenda is a result of irrational or unhealthy dislike. In fact, I am going to argue that it is all that I like about Ron Paul that has made me so passionately opposed to him. I am writing this article for one of two categories of Ron Paul supporters: The well-meaning folks who appreciate Ron Paul’s rhetoric regarding freedom and limited government. The other category of Ron Paul supporters, those who are consciously self-aware in their belief that America is a bad guy military bully, and needs to sit idly by in an isolationist sense as a matter of foreign policy, are not the target of this article. I disagree with them with every ounce of of breath in my body, but I have no hope that I might be able to persuade them. The latter group is aware of the things I am going to say in this article, and they do not care. I am hopeful that the former group will feel that the facts I present in this piece are new information, and warrant a change in their perspective. I am an advocate of the freedom movement in this country. I believe, with Ron Paul, that the United States federal government has morphed into an eggregious behemoth, violating their own Constitutional jurisdiction on a daily basis. I believe that the federal government was created by the people, for the people, and that if we do not reign in their size and jurisdiction, it will one day represent the end of the Republic (fortunately, I have every confidence that we will be successful in that endeavor, incrementally). I have spent the last fifteen years studying economics and finance, and believe that Ron Paul has some wise things to say on the subject of a strong U.S. dollar. I am not a pure Austrian economist, as Paul is, but I was heavily influenced by many of their leaders when I first became obsessed with the subject, and believe there is a lot to be learned from Von Mises and some of the early Austrian economists. But my love of freedom economics and my desire for a limited, Constitutionally constrained federal government has not caused me to jump on the Ron Paul bandwagon. In fact, and this is the most important line I will write in this article, it is my deep appreciation for where Ron Paul is right that has caused me to so emphatically reject him where he is wrong. Put differently, Ron Paul is his own worst enemy, and because I care so much for the freedom movement, I believe Ron Paul and his more extremist followers are doing irreparable harm to that very cause in our country. How could I possibly jump on that bandwagon? Václav Klaus, the president of the Czech Republic, spoke to friends of Hillsdale College in Berlin during Hillsdale’s 2011 cruise in the Baltic Sea. The speech was delivered at Berlin’s Hotel Adlon on June 11, 2011. As some of you may know, this is not my first contact with Hillsdale College. I vividly remember my visit to Hillsdale more than ten years ago, in March 2000. The winter temperatures the evening I arrived, the sudden spring the next morning, and the summer the following day can’t be forgotten, at least for a Central European who lives—together with Antonio Vivaldi—in le quattro stagioni. My more important and long-lasting connection with Hillsdale is my regular and careful reading of Imprimis. I have always considered the texts published there very stimulating and persuasive. The title of my previous speech at Hillsdale was “The Problems of Liberty in a Newly-Born Democracy and Market Economy.” At that time, we were only ten years after the fall of communism, and the topic was relevant. It is different now. Not only is communism over, our radical transition from communism to a free society is over, too. We face different challenges and see new dangers on the horizon. So let me say a few words about the continent of Europe today, which you’ve been visiting on your cruise. You may like the old Europe—full of history, full of culture, full of decadence, full of fading beauty—and I do as well. But the political, social and economic developments here bother me. Unlike you, I am neither a visitor to Europe nor an uninvolved observer of it. I live here, and I do not see any reason to describe the current Europe in a propagandistic way, using rosy colors or glasses. Many of us in Europe are aware of the fact that it faces a serious problem, which is not a short- or medium-term business cycle-like phenomenon. Nor is it a consequence of the recent financial and economic crisis. This crisis only made it more visible. As an economist, I would call it a structural problem, which will not, by itself, wither away. We will not simply outgrow it, as some hope or believe.